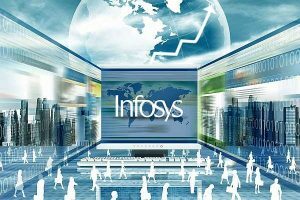 IT services and consulting company Infosys is opening the doors to another 1,200 staff in Australia by 2020, with the company saying it will also open three Innovation Hubs here within the same timeframe. The Indian business process outsourcing company, whose local customers include Telstra, Westpac and NAB, already employs around 4,500 staff across Australia and New Zealand. Forty percent of the new employees will be university graduates, from fields including computer science and design. Andrew Groth, Infosys Australia and New Zealand senior vice president, says the company has already employed 75 graduates, with more than half having completed their induction training. They’re now ready to be placed on client projects, he says. Infosys says it will also be strengthening its partnerships with education facilities to attract top graduate talent and accelerate digital skill building. “Continuous education is a collective effort and we are proud to work with the government, academia and local communities to help build and shape our next-generation of entrepreneurs and innovators,” Groth says. The ties to academia and employment of graduates are likely to be crucial, with Australia – along with much of the world – facing growing IT skills shortages. Many graduates, however, have complained about difficulties in getting jobs, with companies seeking experienced IT professionals. The 2018 Australia’s Digital Pulse report by the Australian Computer Society and Deloitte Access Economics noted that demand for ICT workers in Australia was set to grow by almost 100,000 by 2023, in stark contrast to fewer than 5,000 domestic ICT graduates each year. Based on that arithmetic, the roles on offer are likely to be filled from sources other than ICT course graduates. Groth says Infosys has ‘a deep culture of continuous learning and development’. News of the planned expansion came just days after the company announced the launch of an Innovation Hub in Texas, with the creation of 500 new jobs there. In May 2017, it announced plans to hire 10,000 staff in America – its largest market – by 2019, and has since hired more than 6,200 American workers. Figures from Statistica show Infosys has grown its global staff numbers from 113,000 in 2010 to more than 204,000 this year. The hubs, the locations of which have yet to be revealed, will serve as a platform to enable Infosys to ‘co-create and co-innovate alongside clients, academia and government to accelerate innovation and upskilling of talent in emerging technologies and solutions’, Infosys says. The hubs are reflective of a growing trend in business process outsourcing towards ‘on-shoring’, whereby BPO firms hire locally, rather than ship projects and work streams to offshore centres. On-shoring has been a response to the political challenges that their major clients – such as the banking and insurance corporations mentioned – face in moving jobs overseas. It also reflects the freeing up of labour movements across borders as shortages of skilled workers, particularly in ICT, have forced the implementation of visa schemes. “The expansion of our Australian team, together with our planned Innovation Hubs are very important as we help navigate our clients in their digital journey by simultaneously renewing their core business systems and building new solutions to realise growth,” Groth says. In October the company announced it had seen ‘broad-based growth’ across all business segments and geographies in the quarter ending September 30, with more than US$2 billion in large deal wins. First year revenue was up 7.1 percent year on year in constant currency. Digital revenue was up 33.5 percent year on year to $905 million, or 31 percent of total revenue. Infosys chief operating officer, Pravin Rao, said the expansion marked an important milestone for the company in its 20 year history in Australia. “As a key technology partner of Australian business, we are proud to announce our commitment to accelerating digital skills in the region through the creation of 1,200 skilled jobs, the development of our new Innovation Hubs and our deepening partnerships with academia,” Rao says. Karen Andrews, Minister for Industry, Science and Technology, called the decision to create 1,200 jobs in Australia a ‘great vote of confidence in our economy’.